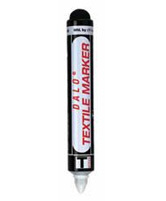 The DYKEM® DALO® textile markers easily write through oil, grease and even underwater. 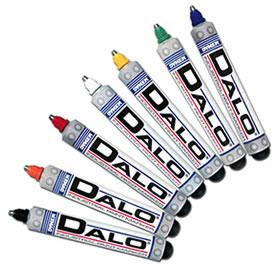 They feature a stainless steel-ball tip so you’ll never have to worry about the tip wearing out before the paint is gone, even if you’re writing on rough concrete or rusty metal. The thick, bold paint markings withstand extreme weather conditions without losing legibility or brightness.